In 2013, doll collector Lynn Buonviri created a doll based on the cover of The Queen’s Dollmaker of main character, Claudette Laurent. Read the blog post describing this doll here. 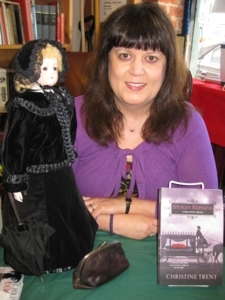 At a July 2014 book signing at Fenwick Street Used Books & Music, located in Leonardtown, Maryland, Lynn surprised me by sharing the Claudette Laurent doll re-imagined into the Victorian undertaker Violet Harper from the Lady of Ashes mystery series. What a treat to see Violet before me! Notice the parasol in Violet’s hand and the undertaking bag at her feet. Lynn has a gift for designing doll clothing and a way of capturing the tiniest of details. Thank you, Lynn, for sharing this touching tribute to Violet Harper. Perhaps one day we will see a Florence Nightingale doll, replete with a nurse’s bag and Florence’s signature lamp! 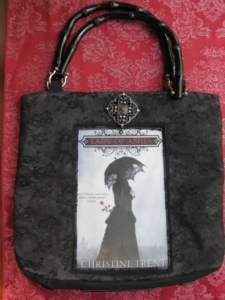 In 2013, my friend Carolyn McHugh was inspired to repurpose Lady of Ashes into a purse. Carolyn uses her artist talents to repurpose books into purses, picture frames, vases, and other inventive items. She presented me with the pictured purse…or perhaps I’ll call it an undertaker’s bag. 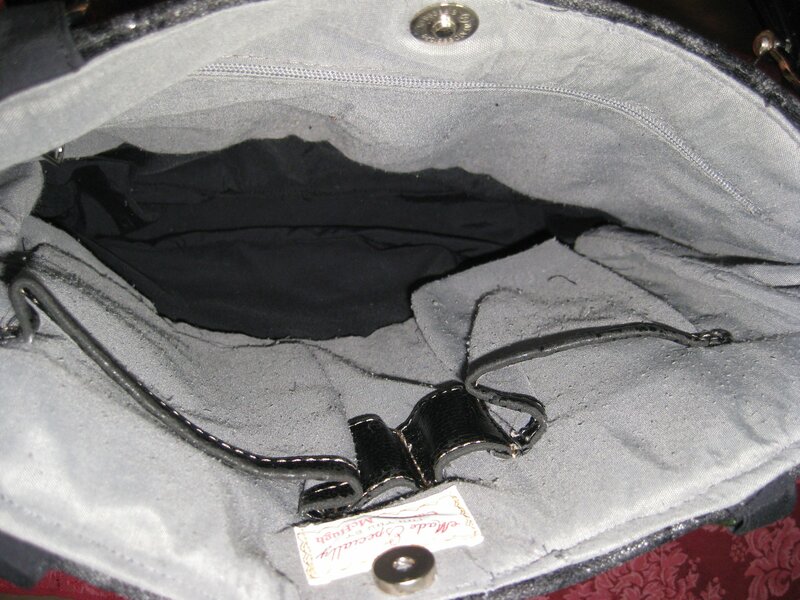 If you are able to join me at a book signing you may see me with this undertaker’s bag holding all my supplies. Carolyn cut out an area to specially hold my book cover, and although you cannot see it well in the picture, there is a fine mesh lace across the cover. 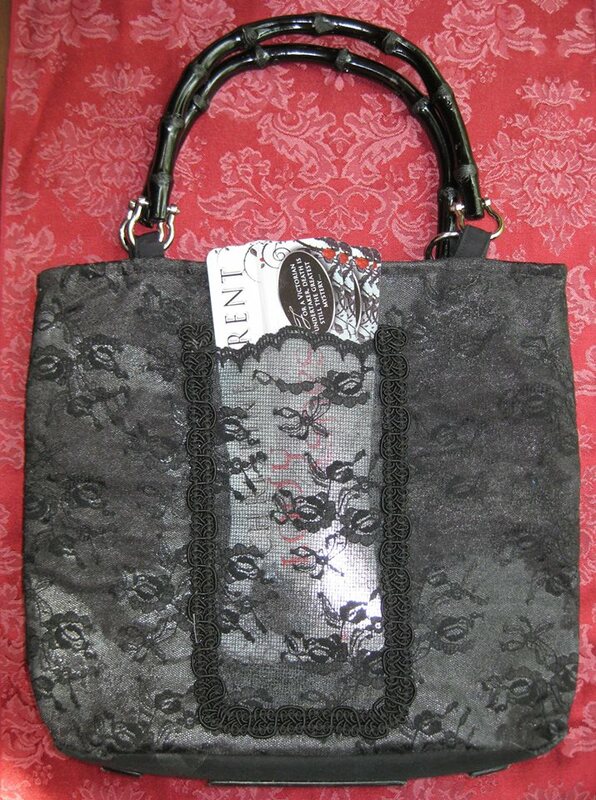 The lace secures the cover to the purse but is virtually invisible. Notice that there is even a pocket on the back for my bookmarks. Be sure to visit the News page for notice of my local appearances then mark your calendar to join me. 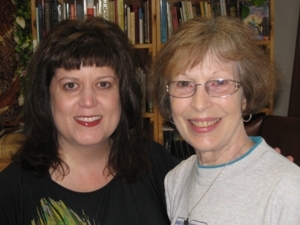 I’d love to meet you and personally thank you for reading my books. Because of you, I can continue writing and doing something I love.